Finding ways to combat the visible signs of aging can help you look your best every day. At AVAMedica Spa, we use the latest equipment and the most advanced treatments to ensure the best possible results for you. Our PicoSure® Focus treatment options allow you to enjoy younger, healthier looking skin without the extended recovery period required with older fractional laser systems. Old-school fractional laser treatments came into common use in 2005, more than 10 years ago. These treatments offered real improvements for patients and delivered a fresh new look in most cases. However, they did require up to two weeks of no makeup and caused considerable pain for most patients. The arrival of Cynosure’s PicoSure® Focus in 2015 resolved most of these issues for AVAMedica Spa clients. PicoSure® Focus causes little or no discomfort and has a much faster recovery time than comparable fractional laser treatments. Patients can wear makeup right away and generally experience little or no redness or swelling after their treatment, allowing them to enjoy younger-looking skin quickly. 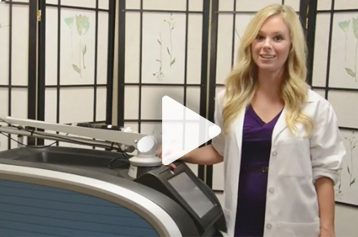 Fractional laser treatments use heat to produce their results. By contrast, PicoSure® Focus delivers ultrashort bursts of laser light that produces little or no heat and stimulates the production of elastin and collagen. This nonsurgical treatment can provide you with the beautiful new look you want in less time and with less stress than ever before. The skilled and experienced technicians at AVAMedica Spa can provide you with the most advanced solutions for all your cosmetic needs. Call us today at 646-588-0888 to set up your first consultation. We deliver state-of-the-art treatments that can help you look and feel your very best every day. At AVAMedica Spa, we are dedicated to revealing the best you.